Serious, it’s Free and it works. 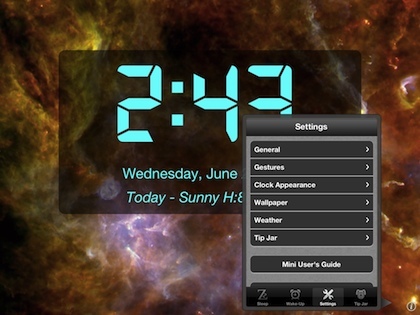 The developer would love to have you in-app donate of few of your hard earned cents towards their efforts, which proves to be a easy decision after playing with all of the features of Yocto Clock on the iPad. 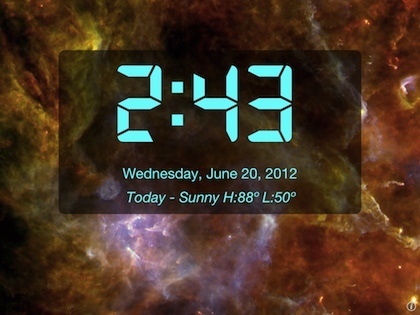 It’s a clock, it wakes you up, it lulls you to sleep, it shows you the weather forecast and it does a brightness/dimming thing by swiping across the screen. Normally, we would be happy with all of that, but the app throws in letting you use their or your photos as the background, which can auto rotate. It’s fine for home, but even more, it’s becoming our travel alarm clock of choice. Yocto is actually a Universal app too, so you can use it on your iPad and iPhone. 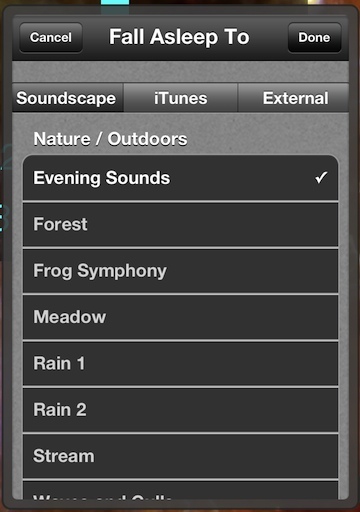 Both landscape and portrait views are supported. The alarm settings in Yocto go beyond setting a quick alarm for the next morning. You can pre-set the alarm time and which days of the week so you don’t have to worry about turning the alarm off over the weekend or being woken up too early on a day with a later meeting. 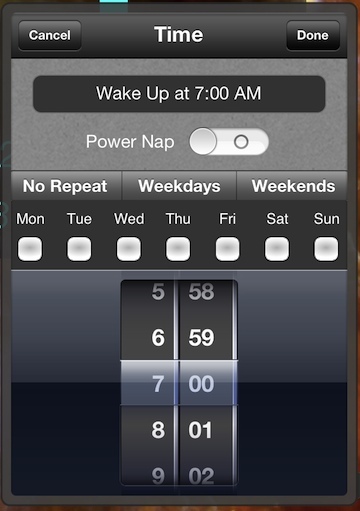 ‘Power Nap’ is a nice quick-to-use feature for those times you want to just rest a few minutes and need to fall sleep rather than worry about a nap turning into a all day sleep event. To get past going to sleep where it is just TOO quiet or to drown out a noise beyond your control, Yocto offers background sounds or to use a iTunes music library selection. 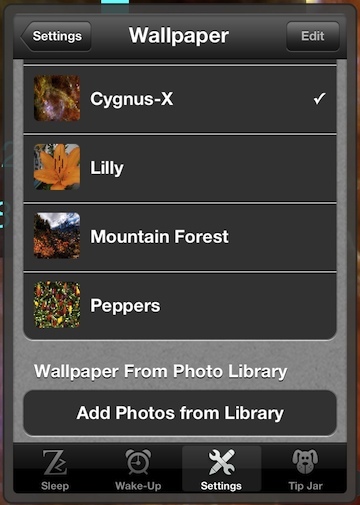 Choose to use one of the background images Yocto provides, choose one from your iPad’s photo library or have Yocto cycle through multiple images is all supported. The numbers and color of the text is also an option to fine tune to your liking. 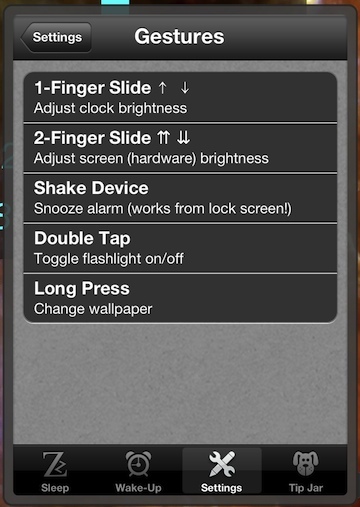 And those ‘Gestures’ we mentioned, while not adjustable, the presets are nice… one or two finger swipes will dim the screen in steps or directly between bright/dark. Shake to snooze the alarm was a natural reaction to an alarm going off in the morning. Yocto even gives you direct access to using your iPad/iPhone as a flashlight so the ‘one night’ in a business meeting stop over hotel night doesn’t result in a bruised shin.